Traditionally, masking a vehicle was an extremely time-consuming job that required a lot of materials, given that the only way to obtain good results and totally seal off and cover the areas not to be painted was to use different products, such as foam tape, plastic sheeting with tape, and obviously, masking tape. 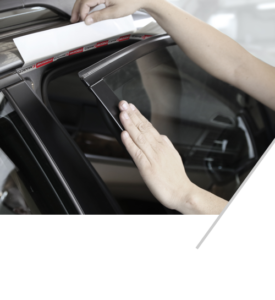 The process to mask the rubber seals in a car was so time-consuming basically because it is difficult to prevent paint from getting inside the vehicle without leaving a tell-tale cut-off line. 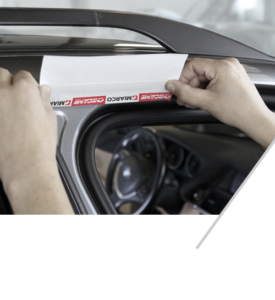 However, Chicane masking tape has been especially designed to work effectively in these difficult areas, such as rubber window seals, and door, bonnet and boot openings, as well as the less complicated areas, making it the definitive masking solution for vehicle respraying jobs. 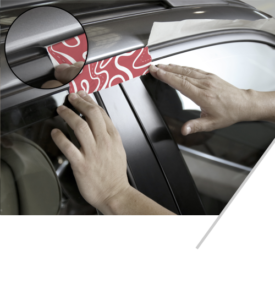 Chicane seals and protects the inside of your vehicle but, above all, it offers an excellent finish, satisfying the most demanding of customers.